Taking your eye shadow to a new level! As I mentioned in my last blog post I’m not great at this blogging thing but after having a few of my friends ask me “Do you really like the BB cream you posted about?” or “OMG I just tried the BB cream you blogged about it’s amazing!” I realized huh…….people really do read these! So I thought I’d try to get my behind in gear and share some more of my favourite products with you ladies and gents. As most of you know or have learned eyeshadow just doesn’t stay on without primer. Shadow primer is probably the most valuable tool in my kit for weddings with all the crying and possible heat it's no easy feat to keep your shadow looking like it was just put on at 8:00pm during that first dance. Without primer colours don’t look as bold and take on a soft look that within two hours at most it looks as though you have nothing on but your liner (if you so choose to wear) and mascara. Using a primer will bring your make up to a whole new level I promise. Wether you are doing an extravagant look or super basic the primer will keep the look fresh because as most of us know faded make up can make us look tired and haggard which ok some of us may be but you certainly don’t want your make up to show it. 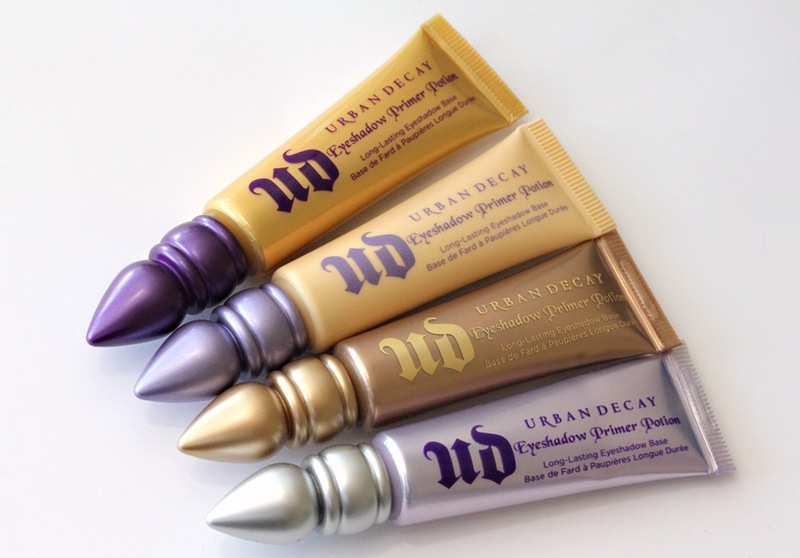 I have tried many different primers in my day but I always go back to Urban Decays Eye Shadow Primer Potion. They aren’t kidding when the call it “Potion” this stuff works like magic! It comes in a few different shades matte and shimmer and keeps your shadow on for hours, I honestly truly mean hours! I have done my make up at 5:00am and got home around 5:00pm after a long hot day full of wedding make up and it looks like I just applied it, which guarantee my brides look like as well.